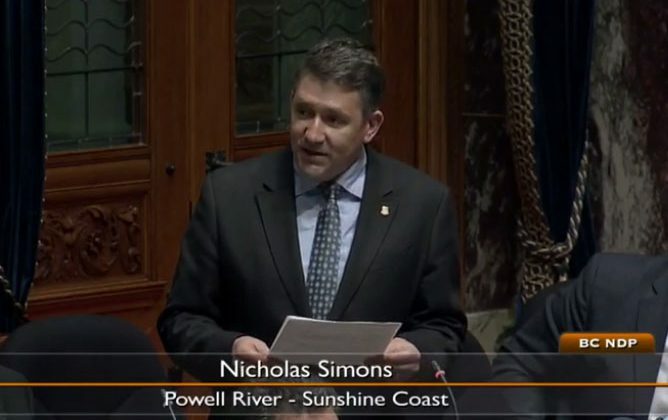 The NDP MLA for Powell River-Sunshine Coast believes the Throne Speech laid out a plan that will benefit most British Columbians. 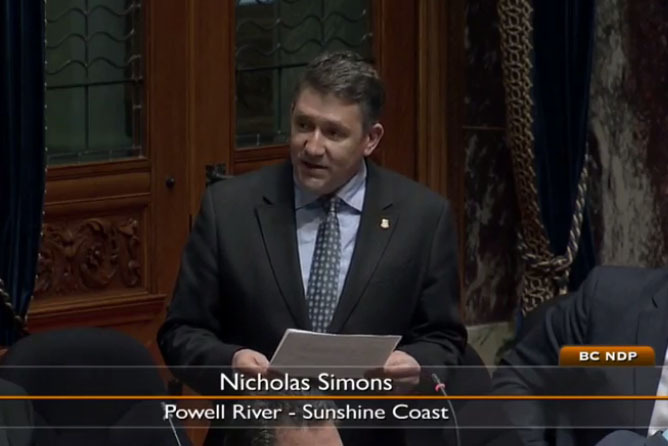 Nic Simons says the budget will be coming down next week but the speech gave us a preview of what we can expect. 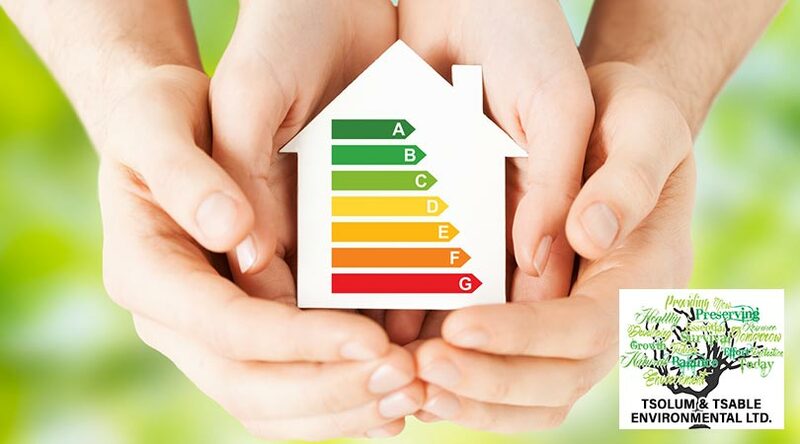 “We heard the Lieutenant governor read a speech that was basically about the government’s plan to keep working on the affordability issues,” said Simons. Other promises that were made during the Throne Speech included a promise to unveil a poverty-reduction strategy, making cell phone bills more affordable and a crackdown on ticket scalpers.